Two intriguing pieces of news might point to a change in net for the Blackhawks down the stretch of the 2017-18 season. On Tuesday morning, Jeff Glass was named the 2018 Masterton Trophy nominee for the Blackhawks. Also on Tuesday morning, the Blackhawks placed JF Berube on waivers. Doubt Crawford is coming back. Maybe glass or a look at Delia. Maybe a NCAA free agent goalie. Berube being put on waivers? Yes I couldn’t agree more, it was well deserved! Rockford recalled Tomkins from Indy, interesting. I still can’t believe that SB went into the season with this talent behind Crow. An undrafted 32 yr is your best option urgh. I’m doubting if Forsberg should return on the Hawks. He has the ability to let in the worse goals at the worst times. Send him to RFD and find an NHL caliber backup. JF Berube has likely played himself out of the NHL. If a goalie cant be at least at a 900% after almost half a season of NHL experience. Plenty of journeyman goalies available. If Stan really wants to man up he’ll make an aggressive offer to both Conner Hellebuyck and Jusse Saros and force the Jets and preds to overpay for them. Worst case they add a legit backup in their mid 20’s. I agree SSHM. I said before the season the Hawks would have the worst backup goaltending in the league after the Panarin trade, but someone counter-argued who had heard of Darling when the Hawks signed him? So I gave it a chance and let it play out but whatever trust we built up in the talent assessment that went into Darling’s acquisition flew out the window with the trade for Forsberg to be Crow’s backup. There are good backup goalies all over the league and the management of the Hawks was full out negligent to go into a year so dependent on the health of a 33 year old netminder. To be fair Bowman was able to land Darling and Raanta with high marks and lots of doubts. This year was a disaster yes, but sometimes that happens. Hopefully it gets addressed. As far as offer sheets go the Blackhawks have no 2nd round pick, which according to cap friendly the only contracts they have picks to compensate are under 1.27 m and between just under 4m and 5.88m per year. Anything else requires your own 2nd rd. pick and not from future years so trading for one doesn’t help. If Forsberg is the Hawks’ back up goalie next season, Bowman will need to be sized up for a straight jacket. Forsberg has been better than Berube for sure, but I agree with the others on here. There are better options out there. The one word people are using too much is “backup”. They need a starter. Even if we are fortunate to have Crawford return next year, he is injury-prone and not getting any younger. I think we will see two new G options in the Blackhawks organization this summer. Ding. Ding. Ding. Original 6 nailed it. The single biggest issue this team has is its $6 Million Number one goalie who has not played competitive hockey this calendar year and seemingly has head/neaurological issues. This is not going to miraculously resolve itself because it’s the “off season”. Some guys with promising careers like Marc Savard even the hated Chris Pronger never made it back. 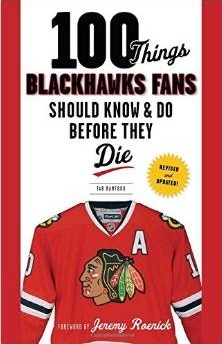 Stan will have to have a really good handle on this by late June and July 1 at the latest because the Hawks might truly be in the market for a #1 Goalie. 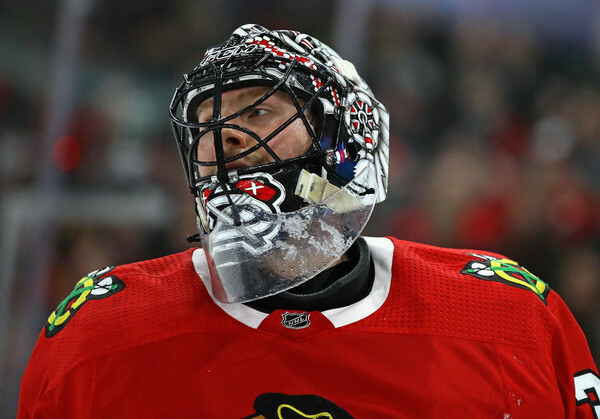 I agree in that if Crawford is not healthy next year, all of these plans we are talking about to turn the team around won’t matter. Toews and Saad can bounce back, you can draft a stud dman in the first round, the young guys can get better, and if you get goaltending like this year it won’t make much difference. Maybe Collin Delia is the answer…?